What you really need Mammas like this! Deepsided, high volume, easy-keeping females with trouble-free udders and ample milk. Why buy yearlings when you can have these at no more money! 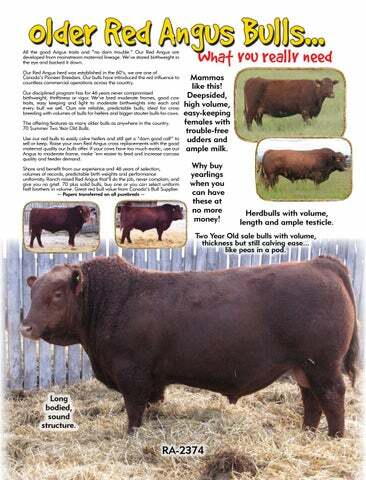 Herdbulls with volume, length and ample testicle. Two Year Old sale bulls with volume, thickness but still calving ease... like peas in a pod.